WASHINGTON (Sputnik) - The summit in Helsinki was good for US President Donald Trump and Russian President Vladimir Putin because they were able to sit down and talk, former US Assistant Secretary of State for European and Eurasian Affairs Victoria Nuland said on Friday. "Sitting and talking was good for these guys," Nuland said at the Aspen Security Forum in Colorado. Nuland said she noticed a "lack of preparation" for the summit between the US and Russian presidents. Moreover, Nuland lamented the one-on-one format of the meeting between the two presidents. The former diplomat said having additional people in the room was necessary to validate what was and what was not agreed during the summit. "Now we have a series of Russian assertions — everything from a plan on Syria to a plan on a joint working group on arms control — that the Russians are spinning out with no American reaction," Nuland said. In the context of organizing presidential summits, one-on-one meetings are never a good idea, Nuland argued. "There should be a witness in this context," she also said. On Monday, Trump and Putin held for the first time a full-fledged meeting in Helsinki, Finland, where they discussed ways to improve bilateral relations and addressed key issues of mutual interest. 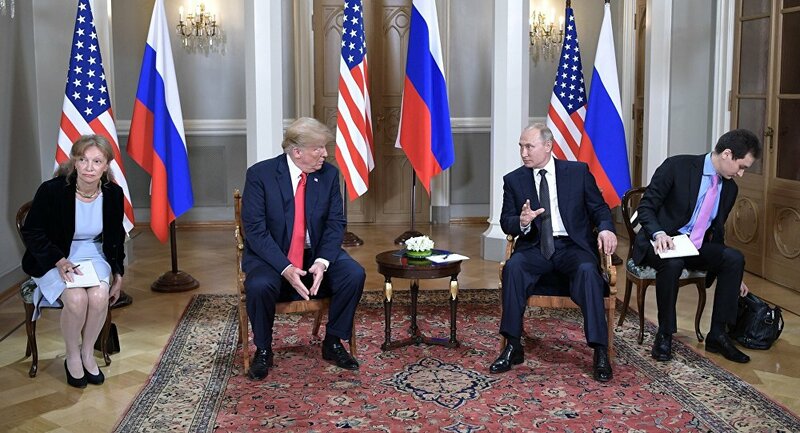 Democrats in the US Congress sought to question Trump’s interpreter Marina Gross who was also present during the one-one-one meeting together with the interpreter for Putin. However, Republicans blocked a motion introduced to subpoena Gross.